The Queensland Labor party is holding its first state conference since winning the last state election. 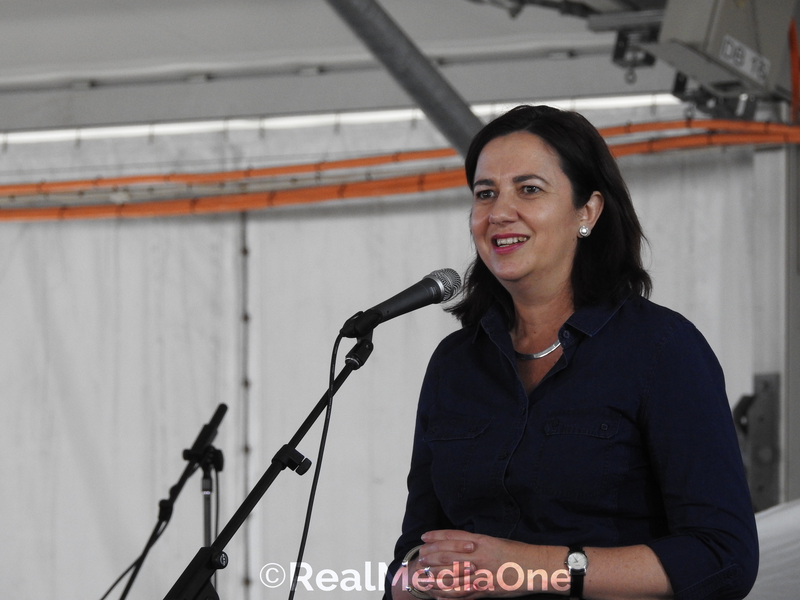 Queensland Premier, Anastasia Palaszczuk, who has been dubbed the giant killer after toppling the arrogant Newman Government after just one term, has highlighted that Queenslanders won’t forgive or forget the Queensland LNP arrogance and the damage they caused. The Premier reminded people “Let’s not forget the architects of the Newman experiment – Springborg,Seeney,Nichollas andBleijie. Premier Palaszczuk also reiterated that nothing is more important to good government then a fearless public service and “fairness has been restored within the public service”. Employment security has been reinstated as policy & Workcover protections reinstated. “We have moved quickly to dispel the climate of fear that gripped the Queensland public service” stated Ms Palaszczuk. Premier Palaszczuk said that Labor is proud of Curtis Pitt and his first budget with a focus on jobs and a surplus, the Queensland Labor Government’s surpluses over the next four years are forecast to be the biggest in the country without the LNP Newman asset sales. The Labor Premier stated that creating jobs and new industries is a priority and the states $35 billion infrastructure program will create tens of thousands of jobs. The LNP’s farcical Strong Choices policy was also singled out for its destructive and wasteful purpose, the total money spent by the LNP on Strong Choices is approximately $100 million of #Queensland taxpayer’s money. She also mentioned that Labor and Union members will gather again on Labour Day next year in May, where it should be! To mark the 125th anniversary of the 1891 Shearers Strike. She remained people that Labor was born of the workers and for the workers.